Well, it wasn’t really much of a frost and I think we may have to put off declaring a “State of Emergency” for a day or two. There was some frost on the little things. 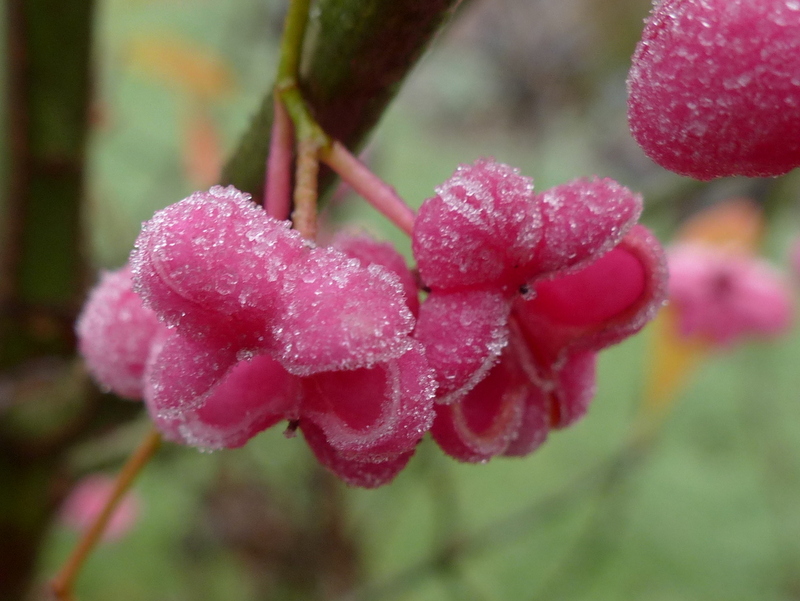 Frost can be quite destructive and Spindle berries were dropping off the tree as I was trying to photograph them. A few of the remaining flowers were totally frosted and I don’t think that they will last much longer. It feels a bit like we are saying goodbye to the colours of Autumn and hello to the greyness that is Winter. There was no frost at all under the trees. They have a warmth of their own, trapping warm air and protecting their surroundings from exposure to the cold night. 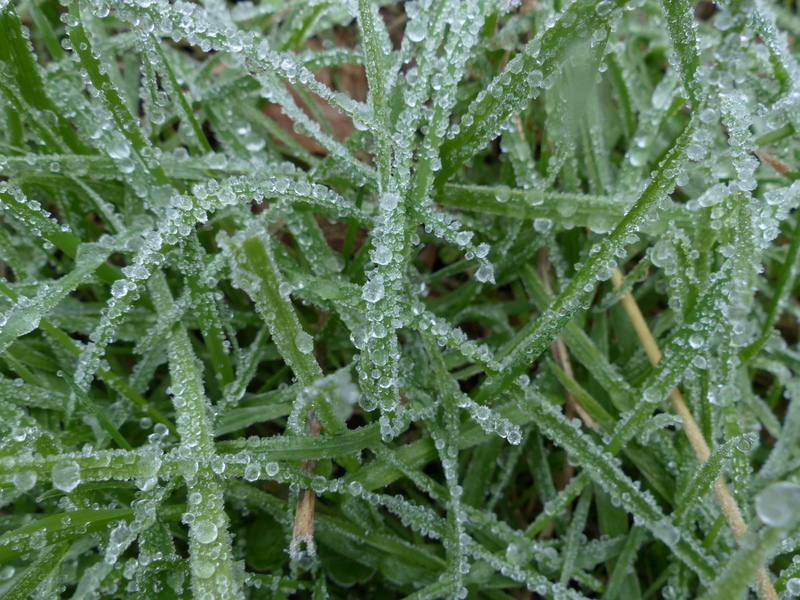 I am not really sure that this is frost on the grass and not just cold dew. But Winter is coming…. and the Sloes will taste sweeter. 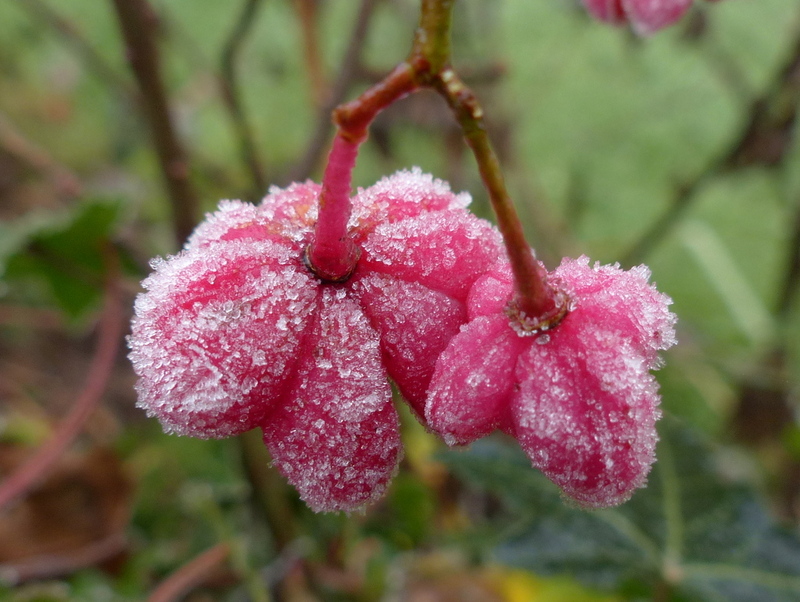 Yes, the frost-covered spindle berries look great. Thanks Marc 🙂 The Spindle is an obvious target as soon as I see frost but I am not sure how much cold they can take. 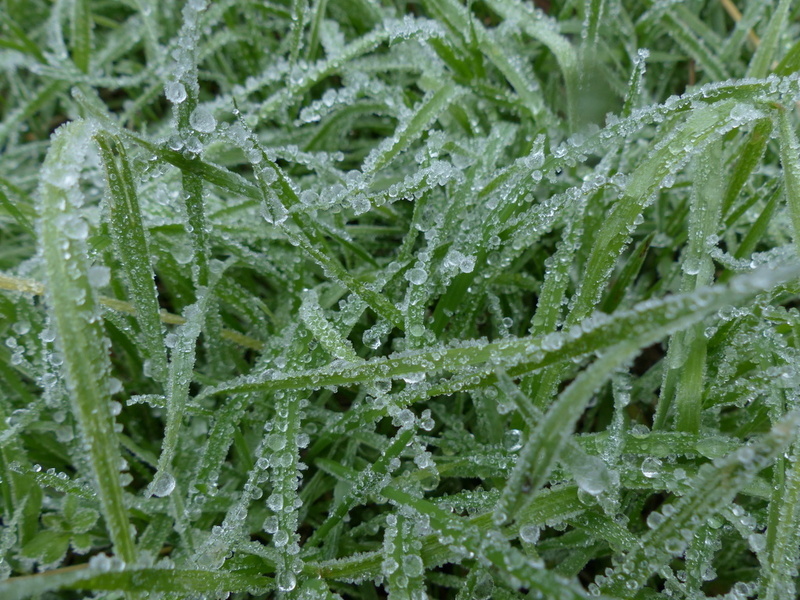 Goodbye frost, hello rain again! 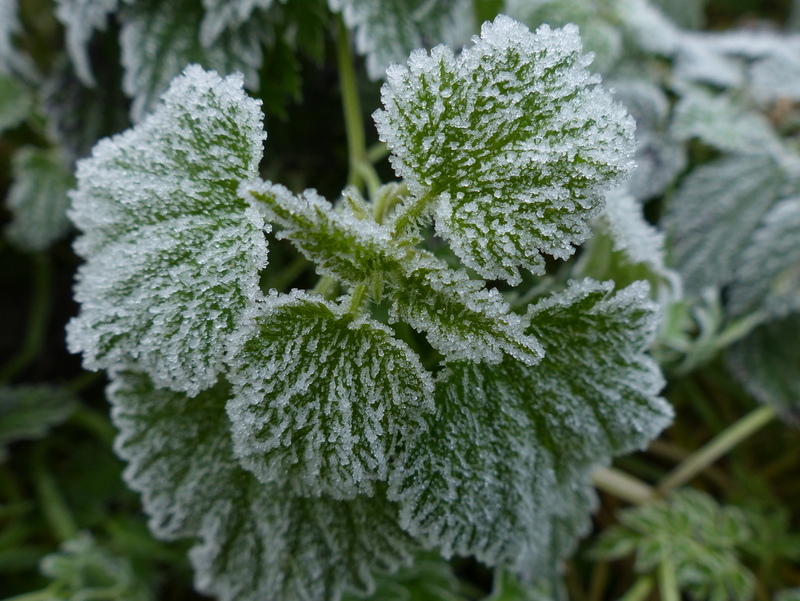 Lovely frost photos. Thanks Clare 🙂 Yes my clear bright night has turned into a very dull and dreary day but it is only about fourteen weeks until Spring returns. 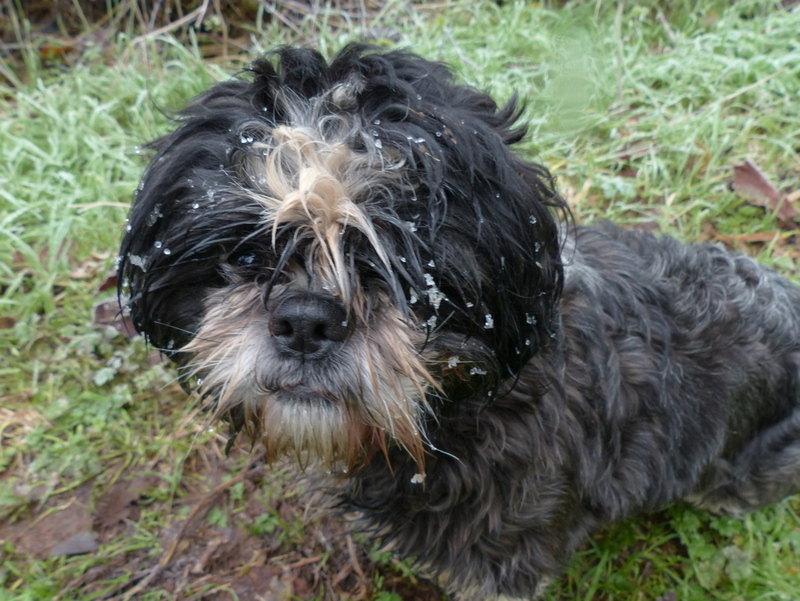 Our dog is waiting for the snow (which may arrive tomorrow). We had a dusting two weeks ago and she was nuts. Great shots. 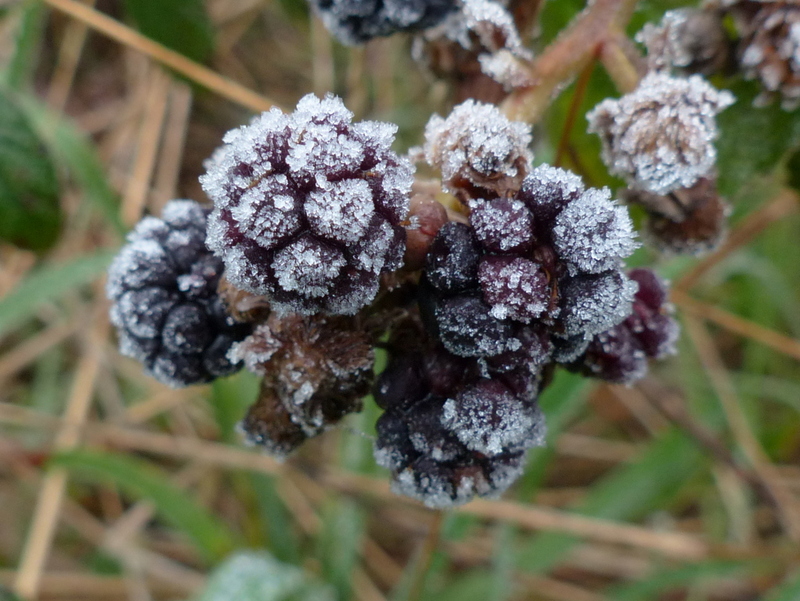 I agree with Trini, the frosted berries look good enough to eat. Thanks Dan 🙂 Dogs do seem to go crazy in snow. 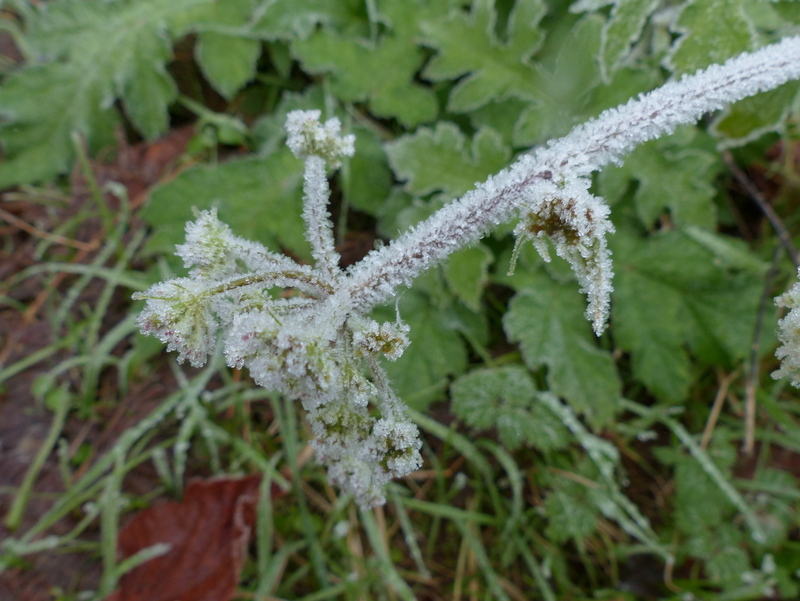 I miss frost – we don’t get it here really. It makes for lovely images and the spindles are my favourites (except for Fizz). I am glad you had toast. You have reminded me I need a new toaster. 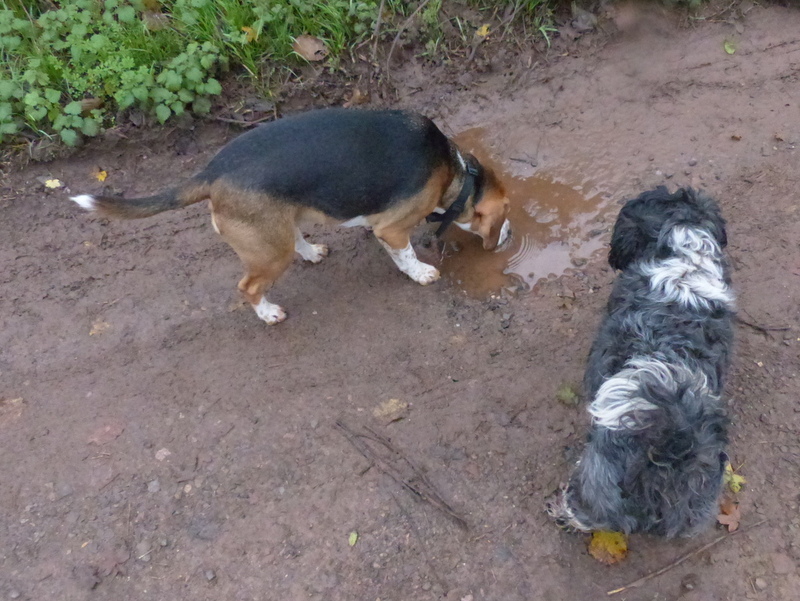 ‘Nothing like a drink of cool mud to set you up for the day.’ 🙂 Fizz is such a trooper sloshing around! What sort of weather in the UK constitutes an ’emergency’? Such beautiful pictures, the berries and the sloes especially. 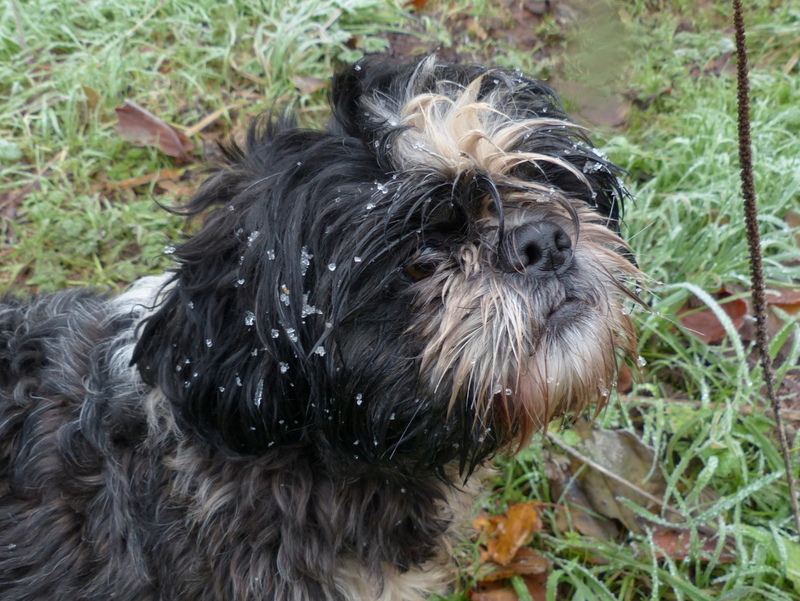 The grayness of winter is coming for sure and I’ll also be looking for Fizz playing in the snow. Maybe she enjoys it as much as she does mud? Maybe she will hop and jump in it if it gets taller than her. You have such beautiful pictures of frost! I always love a frost picture. You have given us a gift. I spy a Beagle!! I’ve got two of them, best dogs! “Cool” photos! Nothing like a good frost to set you up for the day! Beautiful pics. 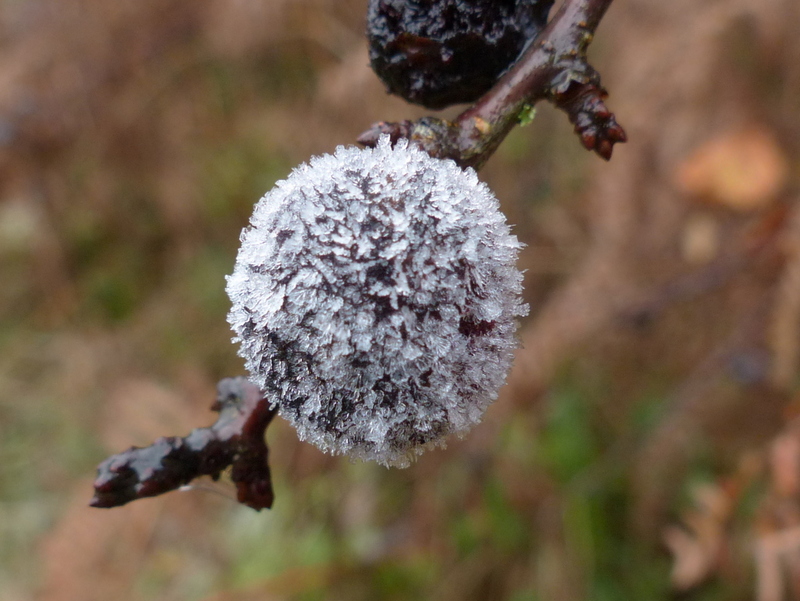 Are sloes edible. In the US they are. There’s not much fruit to them, mostly pit, so they’re work intensive, but with green apples, they make wonderful jam. The aroma is wonderful. Next year I want to make wine with some. Thank you Ibeth 🙂 Yes Sloes are edible. I eat them straight from the tree and have been doing so since they started to ripen. Many people find them too tart, they dry the mouth but they are juicy so you can always have another one. Wine sounds like an excellent idea. There is a tradition here of making Sloe Gin with them. That basically involves buying a bottle of gin and flavouring it with the sloes but it takes a few months for the flavour to develop and I am not a big fan of gin. I just like to pick them and mix and match with other fruits for nibbles when we are out walking. OH! The frost pics are beautiful. 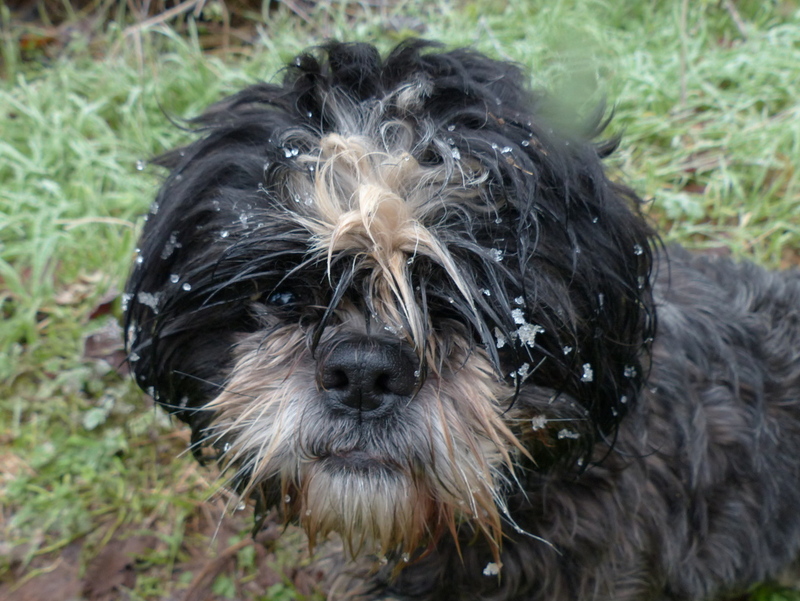 And I will be anxious to see what Fizz thinks of snow. Our late Spaniel thought it was put down just for him, I believe. He just lost it with joy. 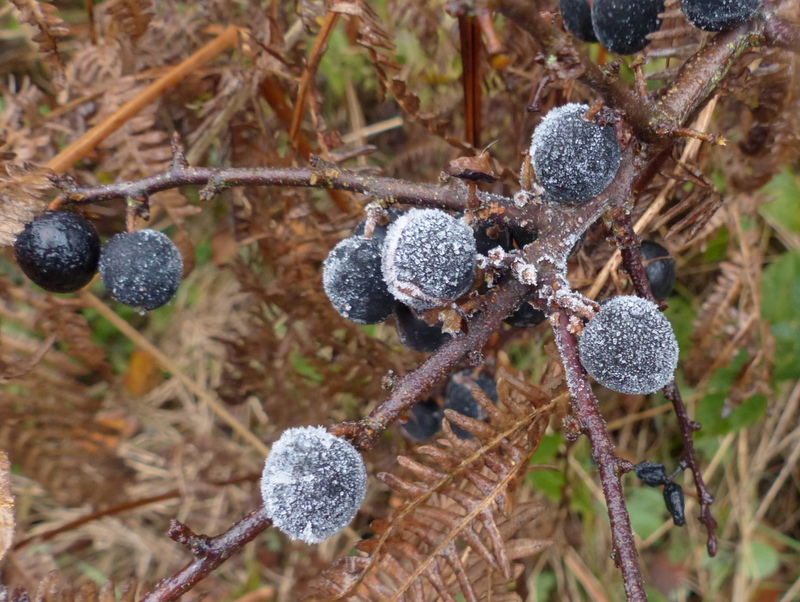 The sloes look good enough to eat, all chilled in frost. Your frosted shots are glorious.